In respects to different types of muscle contractions, there are four that folks generally know and these include: Concentric, eccentric, isometric, and isotonic. While every type of muscle contraction can facilitate varied growth and adaptations, most athletes focus on concentric (muscle shortening) and eccentric training (muscle lengthening) for a majority of their workouts. If you’re new to muscle contractions, think about eccentric loading like the pulling back action of a slingshot. It’s our muscle’s ability to lengthen and absorb force before producing an equal or greater shortening/concentric contraction. 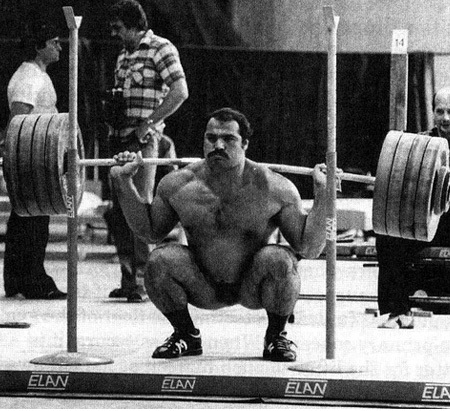 For example in the squat, the eccentric would be your descent towards the ground, then the concentric would be standing up with the weight. To reach your full potential in the gym, every type of contraction should receive some form of attention, but this article is going to solely focus on eccentric loading. We’re going to cover the basic mechanisms and literature behind this form of contraction, then assess different ways to do so. Before diving into the research and loading modalities, it’s always a good idea to understand exactly what we’re trying to do. Muscles contraction can be defined or assessed as the activation of tension sites within our muscles to create or produce force. These tension sites can lengthen, shorten, or isometrically contract (these are often categorized by force & length). The Sliding Filament Theory is one of the main terms people reference and have heard about when it comes to muscle contraction. This theory states that there are two forms of proteins within our muscle’s sarcomeres that slide and connect with one another to create cross-bridges and contract, and these proteins are: Actin & Myosin. Obviously, there’s a little more to muscle contraction than what’s quickly summarized above. If you’d like a slightly more in-depth visual of muscle contraction, then I’d recommend checking out the quick 4-minute video below! Over the last 80 years or so, there have been multiple studies performed on the different types of muscle contractions. In respects to eccentric loading itself, this research from 2017 does a great job of explaining the mechanical differences between concentric and eccentric contractions, along with discussing differences in skeletal remolding, aka adaptations from different forms of training (hypertrophy and so forth). In the research, authors discuss that the maximal amount of force a muscle can produce is is theorized to be when the most amount of overlap of cross-bridges between actin and myosin has been reached, which tends to be when muscles are actively lengthening. Authors of this research and from the studies within this paper theorize that this is due to the filaments having a longer period to actively bind with one another compared to a quicker movement. From their analysis, the authors looked at multiple studies that assessed eccentric and concentric loading across multiple categories like muscle size, thickness, damage, restructuring, hypertrophy, and much more. Authors found that even though it’s generally thought that eccentric loading holds greater benefits [compared to concentric] in terms of muscle building, the current research is too varied to definitively say either way. In addition, authors point out that when load and volume were accounted for and made equal, then similar results were often found between concentric and eccentric contractions. However, the authors do point out that eccentric loading offers different means of reaching similar growth periods compared to concentric training. They also mention that during a muscle’s growth with eccentric there are mechanical differences on a myogenic and molecular level, aka if we trained a muscle equally solely with either concentric and eccentric, and it eventually reached the same size, then the means of reaching this size will differ between the two styles of contraction. All in all, eccentric training is pretty dang important and should receive ample focus in training. When it comes to loading movement eccentrically, often times, coaches and athletes will do so for a variety of reasons, and these will are on multiple scenarios. Below we’ve included three example scenarios when a coach or athlete might implement eccentric training. Overload: Often times when there’s an eccentric focus on training, then the goal is to overload the descending, or muscle lengthening period of an exercise. This can help an athlete’s muscles and neural system adapt to a higher stimulus without failing the lift due to weight being too heavy for the whole duration of the movement. In addition, it can be useful to train an athlete’s body to absorb a higher amount of force before exerting an equal/greater amount, aka the completion of the lift. Control: Similar to overload, eccentric training can be a useful way to teach an athlete how to control heavier loads. This will go hand-in-hand with the above point, but what changes is the means of the eccentric loading. For example, think: differences between bands and chains. Stability: This characteristic is almost synonymous with control (and many would probably argue it’s the same thing), but in my opinion, it can take a different meaning depending on the athlete’s training history and eccentric modality used. If someone is working on stability, then they’ll most likely use an eccentric modality that creates instability on the lift, compared to simply overloading the lift, or slowing down tempo. Newer athletes or those rehabbing typically benefit with this aspect most, and weight if often lighter (compared to heavier during “control”). In terms of the eccentric modalities below, we’ve written about almost all of them individually and included applicability methods for them, and those articles will be linked within. The act of adding resistance to your training can be one way to overload eccentrically at the top of the movement, or on the descent. Keep in mind, that this modality will only add additional tension at the top if you anchor the bands to the ground, as the band will become more lax as you hit the bottom of the movement. If you’d like to overload a barbell at the top of the movement and through the first portion of the descent, then you’ll want to anchor the bands above the barbell. For example, loading a barbell with 105% of your 1-RM, then having bands take off load towards the bottom by hooking them to the top of the squat rack. Another loading modality that is very similar to resistance bands are chains. Chains create additional resistance at the top of movements and also add a level of instability, as they can sometimes track in an odd line when the links stack. If you’re trying to work on your control during the descent, or have a stability problem during movements, then chains can be a great way to begin working on eccentric movements. Also, chains help work sticking points, as they’re heaviest at the top. Unfortunately, a lot of gyms don’t have this useful training tool, but releasers can be a great way to focus on eccentric loading. If you’ve never seen them, basically they’re a tool that connect to a barbell to add weight, and unclip at the bottom, so you can finish the lift without the overloaded aspect. These tools can be great for teaching control, stability, and how to handle scenarios when a weight is overloaded. Plus, they’re a little safer than other modalities that don’t detach when they may be pushing your 1-RM to above 100%. Don’t have any of the above training tools? That’s okay, tempo is another great way to focus on the eccentric of movements, and often times, there doesn’t need to be a major adjustment in the loads being used, but if there is, it’s usually a decrease. Tempo entails changing the amount of time you spend on different portions of the lift, and for this piece specifically it will be an increase in the eccentric. Tempo typically reads with three or four numbers, which serve as seconds, and will appear similar to these two examples (3 & 4 will vary between coaches): 410 or 4010. 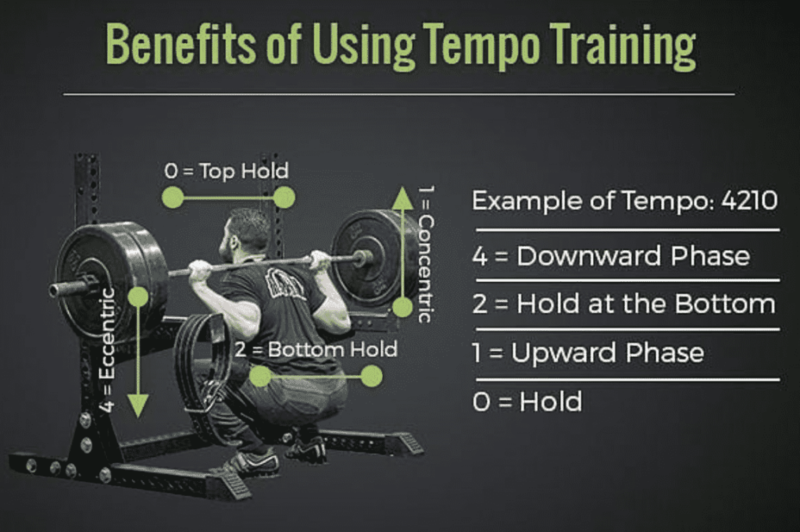 Tempo is a great way to work on control and stability in movements, as is requires more focused and coordination to slow down the descent with a goal oriented time. Previous article covering this topic in-depth: Tempo Training. Another method that we can see when trying to build control and stability throughout the eccentric is with the use of things like kettlebells, plates, and dumbbells attached to free float on a barbell. These elements create an increase in instability, which will require the athlete to work on their control of the weight. Often times, this training method will be performed with lighter weight, as a lot of instability can, at times, increase one’s risk of injury. If you’re aiming to try it, then account for the barbell weight, the attached load’s weight, and what you’re using to connect the weights with. The final method for eccentric loading that we’ll include in this post is a descent with a dead stop. This method can be tedious to setup and is limited in how you can use it, but it can be useful to prep the body’s neural adaptations to overloaded weight (remember back to the study linked above). Basically, this will entail loading the barbell with either your 1-RM, or just over it, then descending to a dead stop point, which will be safeties or other methods to safely remove weight. For example, placing safeties in a squat rack to about four inches above parallel, descending in a squat with 105% of your 1-RM. The goal is to control the weight until the safeties where you can safely step out, set the weight back up, and go again. Training with a specific focus on eccentric contractions can be useful for a variety of reasons. 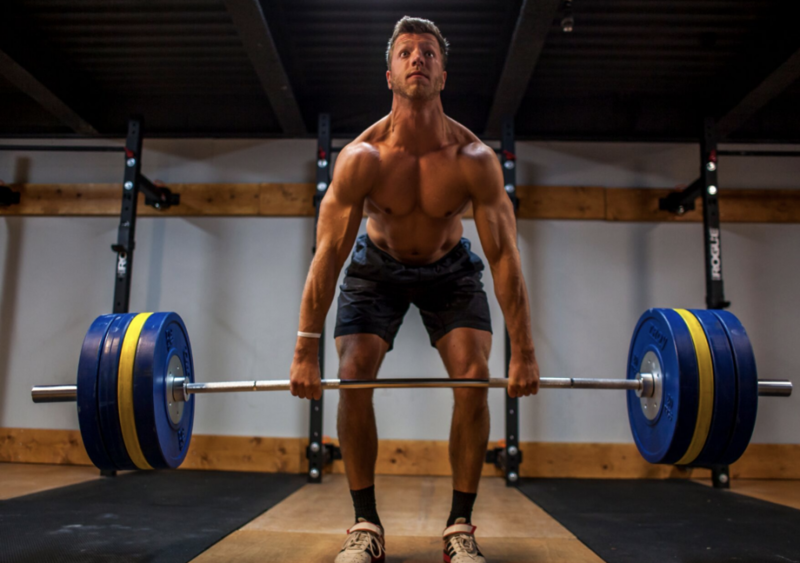 Often times, strength athletes will use this style training to increase their body’s ability to handle heavier loads, increase their muscle’s hypertrophy, and improve control under the bar. While the rationale saying training with an eccentric focus is better than concentric is still up for debate, it’s not a bad idea to incorporate some form of eccentric at some point. Two things to keep in mind before wrapping up this piece. First, use this style training with care and calculation. Overloading can be very taxing on the body, so having a coach or plan is always a wise idea before implementation. Second, there are other ways to eccentrically load outside of what’s listed above, so use those as a jumping off point, and feel free to share your favorites in the comments below!